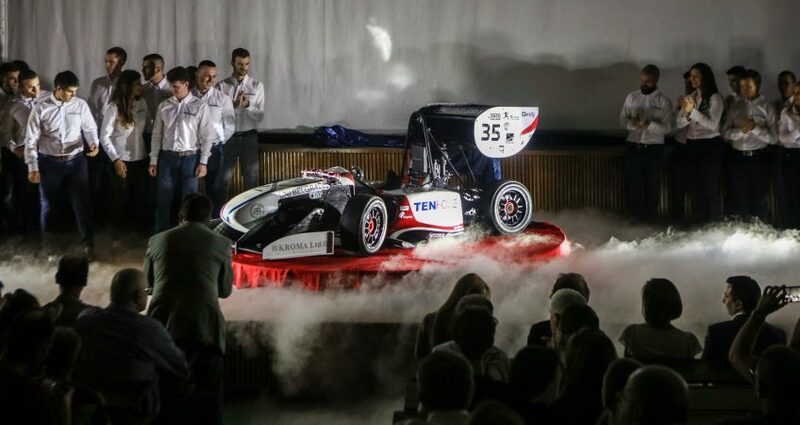 Student F1 Team TENFORE Road Arrow debuted its seventh racing vehicle in a row, so far the most state-of-the-art prototype of a racing car based on Formula 1. Team members invested more than 50,000 working hours into the project and created so far the fastest Formula 1 model, built and produced in Belgrade, which accelerates to 100 km/h in 4 seconds tops. 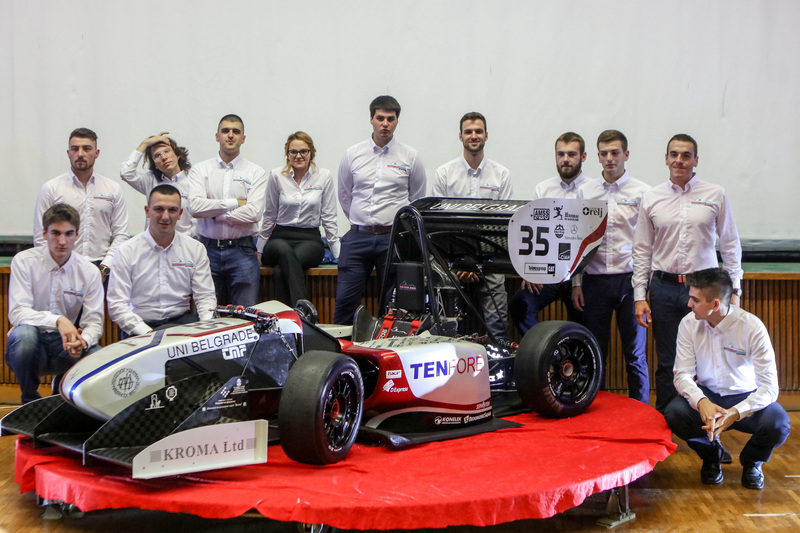 More than 50 students of 8 faculties of the University of Belgrade worked on the creation of the latest TENFORE Road Arrow F1 Team car, who are going to take part in two upcoming global Formula Student competitions – in Italy and Czechia. This year’s participation in competitions in which Serbia’s future engineers are going to test their knowledge against their peers from all around the world was enabled owing to the support of TENFORE payment institution, which as of 2018 is the general sponsor of TENFORE Road Arrow Team. 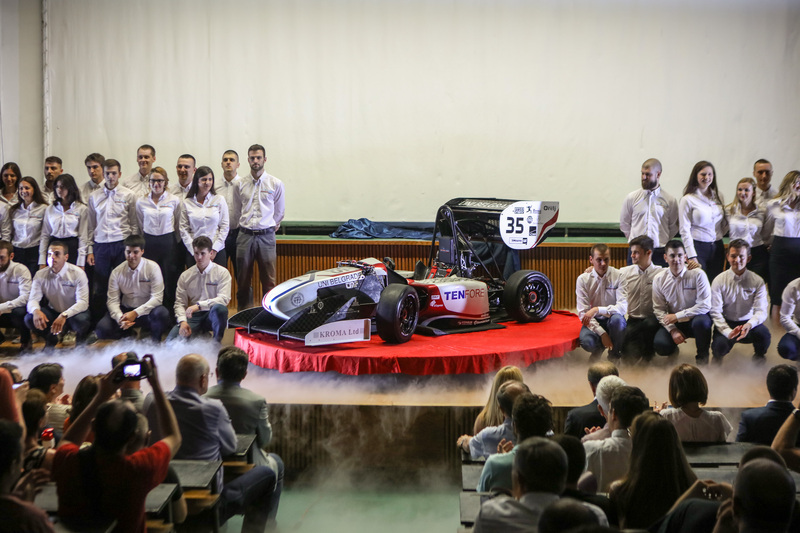 According to CEO Mirko Miljuš, the company will help students to overcome all the challenges and reach their goal and create the first Serbian electric car. Student Miljana Stojanović, the leader of TENFORE Road Arrow Team, the leading regional team for creating Formula 1 cards, emphasized that her team had a good foundation to start working on an electric car, because they designed a concept of an electric vehicle in 2016, for which they won third place at a competition in Italy. The Faculty of Technology and Metallurgy student mentioned that they worked with same two engines each year, while, for example, their German peers get 10 new engines every year. The presentation was attended by State Secretary in the Ministry of Education, Speaker of the Belgrade City Assembly Nikola Nikodijević, representatives of the University of Belgrade, Rectory and student organizations and associations, as well as by family and friends of TENFORE Road Arrow Team.